The factory had a thriving cycling club. This picture, taken from the Cycle Times for November 1910, shows an Ariel Cycle Club outing. 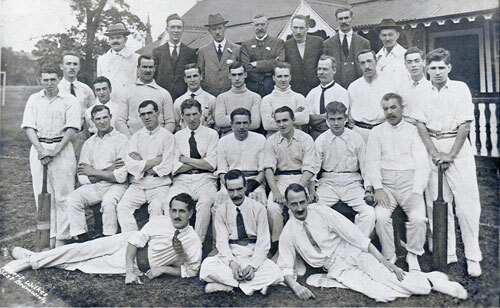 The Ariel Cricket Club taken at Edgebaston in 1918. The Ariel Scout Troop, Selly Oak. 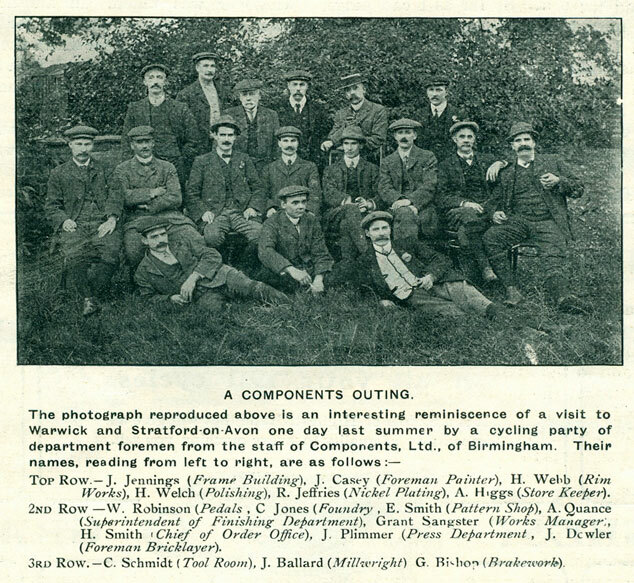 In 1929 the Ariel Scout Troop was formed at Selly Oak and supported by the factory. 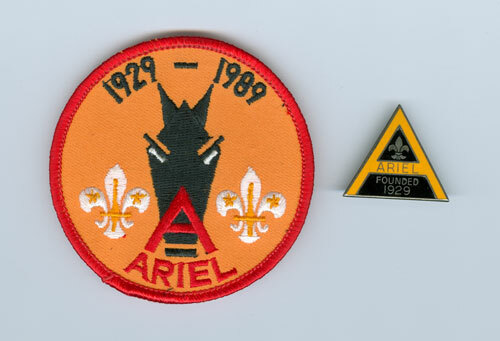 These badges were issued in 1989 to celebrate 60 years of the Ariel Troop.